Forgive someone seventy times seven times according to the Bible? It might not always be easy to forgive someone, but it will become much easier if we keep in mind that Jesus is always ready to forgive us our sins – if we are remorseful about our trespasses. We gain much by taking the role of a defense attorney when it comes to other people’s actions. This does not mean that we should always excuse and justify all sorts of wicked behavior that we see in others, but rather that we should try to find extenuating circumstances rather than aggravated circumstances. Real defense attorneys are not expected to deny their clients’ crimes and actions despite obvious evidence of their guilt, but apart from what is already proven it is sometimes possible to find circumstances in the case which could reduce the sentence or acquit the client altogether. There is a difference between acting knowingly compared to acting recklessly (or out of ignorance), and there are some perpetrators who act without a culpable mental state. We should always be ready to forgive others since our Lord is willing to forgive us – under certain conditions. God does not accept an apology unless we truly mean it and show our repentance with our actions. We should do what we can to repair the damage that we have done, and if we are at fault for having mistreated someone it is not enough to just ask God for forgiveness in silence without also contacting the person we have hurt and make some efforts to rectify our trespasses. If someone is currently mistreating you and beats you with his/her fists, it is naturally not possible to be persuaded that this person is remorseful about his/her ongoing actions and deserves to be forgiven. Nevertheless, we can live with the hope that this person on a later occasion might regret his poor attitude and would have asked you for forgiveness if he/she had the chance to do so. For this reason we must always be ready to forgive. Christ forgives us our sins if we repent, and we should forgive others in a similar manner, using Christ as our role model. 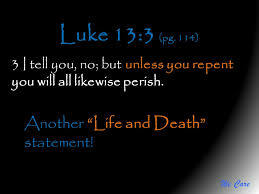 The Bible says ”IF he repent, forgive him” (Luke. 17:3). Notice the word ”if”. Maybe we have had encounters with individuals in our past – either as children or as adults – who have mistreated us and sinned against us. Our attitude should not be that we are not required to forgive them because we have not met them for many years and have no knowledge if they are remorseful. No, we must live with the assumption that they have indeed repented and would have asked us for forgiveness should they meet us. Is this not how we would like to be treated ourselves? We might have done things in the past that we deeply regret, and we live with the hope that those we have sinned against will not use it against us. We gain a lot by not trying to think the worst about people, but rather always seek to find extenuating circumstances so that we can think the best about people – without living in denial. We might end up having a conflict with people who have offended us, but there are lots of things we do not know about their background and circumstances. Maybe they have misunderstood something? Maybe I have misunderstood something? Maybe I am not aware of the whole story leading up to the conflict? Maybe they have had previous bad experiences in life? Maybe they did not mean to offend you but said things as a joke? Maybe their upbringing was not normal? Maybe they did not intend to cause such drama? Sometimes we might get more light on the matter if we talk about it, and at other times we do not get such chances but have to make assumptions about what really transpired. God is the one who will make the final judgment. Maybe there are no valid excuses for being a jerk, and God can judge our hearts. If we have not always behaved as the ideal friend/colleague/family member, then we are probably thankful for those who are willing to forgive us our wrong doings and who are willing to draw the best conclusions available about us. To forgive someone does not mean we must forget all his/her sins against us. The case might be that people have sinned against us for many years, and it is not possible to just erase those years from your memory – particularly not if those sins made a huge negative impact in your life. The Bible says that your salvation is dependent on your willingness to forgive others who ask you for forgiveness. If you do not forgive people for their trespasses, neither will God forgive your trespasses. Matt 6:14 For if ye forgive men their trespasses, your heavenly Father will also forgive you:15 But if ye forgive not men their trespasses, neither will your Father forgive your trespasses. I do not believe we are required to forgive people who are in the midst of their sins, and who are fully aware of that they are sinning against us, without showing a shed of remorse. If someone is breaking into your house and is busy stealing your money, he/she clearly does not mean an apology if he/she keeps on doing it. Jesus and Stephen forgave people who sinned against them and who did not ask for forgiveness, but in those cases (see below) they motivated their forgiveness with the other people’s ignorance – that they really did not think they were doing something wrong. We must be ready to forgive also during such circumstances. To forgive someone does not mean that we must at once cease to be cautious about this person and assume that he/she will never risk to fall back in to old habits. Acts 7:59 And they stoned Stephen, calling upon God, and saying, Lord Jesus, receive my spirit.60 And he kneeled down, and cried with a loud voice, Lord, lay not this sin to their charge. And when he had said this, he fell asleep. Also Paul expressed thankfulness that Jesus showed mercy on him despite his actions since he (Paul) did not know better. Paul was convinced he was doing the right thing when he persecuted Christians because he desired to live as a righteous Jew according to the Jewish laws (as he interpreted them). Paul did not show any remorse as long as he lived in ignorance, but once he realized his sins against Jesus and his fellow-man, he repented and changed his mind. 1 Tim. 1:12 And I thank Christ Jesus our Lord, who hath enabled me, for that he counted me faithful, putting me into the ministry;13 Who was before a blasphemer, and a persecutor, and injurious: but I obtained mercy, BECAUSE I did it ignorantly in unbelief. When Jesus says that he remembers our sins no more (Hebr. 8-10), it means that he will no longer use them against us. It does not literally mean that God will select certain parts of his all-powerful knowledge about us and cease to remember them. (We also know this based on the parable in Matt. 18 below.) The promise to no longer remember our sins when we repent, concerns our past sins and cannot be used as a free card for any future sins. ”Forgive me”, means people must forgive? There might be people who believe that it is the combining of the two words ”Forgive” and ”me” which requires the other person to forgive, just like a magical ”abracadabra” that open doors. The words mean nothing if they just constitute a lip service and when the heart says something different. IF we repent, God will forgive. It is the repentance which is the key, and it can be expressed with the mouth. Eph. 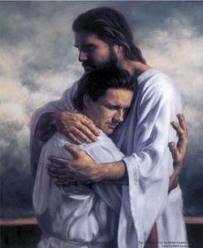 4:32 32 And be ye kind one to another, tenderhearted, forgiving one another, even as God for Christ’s sake hath forgiven you. Acts 26:15 And I said, Who art thou, Lord? And he said, I am Jesus whom thou persecutest.— 17 Delivering thee from the people, and from the Gentiles, unto whom now I send thee, 18 To open their eyes, and to turn them from darkness to light, and from the power of Satan unto God, that they may receive forgiveness of sins, and inheritance among them which are sanctified by faith that is in me. Paul criticized the Corinthians for being too lenient when it comes to sins, as per i 1 Cor. 5, but when the sinner has been confronted and shown true remorse (an important condition), the congregation must be ready to forgive him and comfort him so that he will not give up in his grief. 2 Cor. 2:6 Sufficient to such a man is this punishment, which was inflicted of many.7 So that contrariwise ye ought rather to forgive him, and comfort him, lest perhaps such a one should be swallowed up with overmuch sorrow.8 Wherefore I beseech you that ye would confirm your love toward him.9 For to this end also did I write, that I might know the proof of you, whether ye be obedient in all things.10 To whom ye forgive any thing, I forgive also: for if I forgave any thing, to whom I forgave it, for your sakes forgave I it in the person of Christ;11 Lest Satan should get an advantage of us: for we are not ignorant of his devices. Below is the parable about forgiving seventy times seven times in Matt. 18. This means that there is no specific maximum number when it comes to forgiveness, but we should always be willing to forgive a person who shows true repentance. If someone combines righteous living with sins against you, he/she has clearly no repentant heart. Something to note about this parable is that the servant who managed to get his debt erased (a symbol for getting his sins forgiven) unfortunately got back the same debt when he in his turn refused to forgive another. This shows that ”once saved always saved” (or unconditional security) is not a Biblical concept, since a forgiven and cleansed person can become filthy once again and be spiritually separated from God. Note also that the servant started out asking the king for mercy (forgiveness) resulting in the cancelled debt, and it was not the king who initiated the idea. The servant in the parable did not show true remorse, or perhaps we should say that he was truly sad about his debt and thankful for its removal, but he proved to not be ready to stay away from future debts/sins, despite that further debt would throw him right back into trouble. 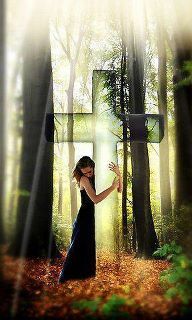 God can see in our hearts if we truly regret our sins and would like to leave all our sins behind. We must treat others the way we would like to be treated ourselves. We must be ready to forgive others the way Jesus forgives us our sins. We should always have a forgiving attitude. Matt 18:21 Then came Peter to him, and said, Lord, how oft shall my brother sin against me, and I forgive him? till seven times?22 Jesus saith unto him, I say not unto thee, Until seven times: but, Until seventy times seven.23 Therefore is the kingdom of heaven likened unto a certain king, which would take account of his servants.24 And when he had begun to reckon, one was brought unto him, which owed him ten thousand talents.25 But forasmuch as he had not to pay, his lord commanded him to be sold, and his wife, and children, and all that he had, and payment to be made.26 The servant therefore fell down, and worshipped him, saying, Lord, have patience with me, and I will pay thee all.27 Then the lord of that servant was moved with compassion, and loosed him, and forgave him the debt.28 But the same servant went out, and found one of his fellowservants, which owed him an hundred pence: and he laid hands on him, and took him by the throat, saying, Pay me that thou owest.29 And his fellowservant fell down at his feet, and besought him, saying, Have patience with me, and I will pay thee all.30 And he would not: but went and cast him into prison, till he should pay the debt.31 So when his fellowservants saw what was done, they were very sorry, and came and told unto their lord all that was done.32 Then his lord, after that he had called him, said unto him, O thou wicked servant, I forgave thee all that debt, because thou desiredst me:33 Shouldest not thou also have had compassion on thy fellowservant, even as I had pity on thee?34 And his lord was wroth, and delivered him to the tormentors, till he should pay all that was due unto him.35 So likewise shall my heavenly Father do also unto you, if ye from your hearts forgive not every one his brother their trespasses. We need to have forgiving hearts, but God is the one with authority to forgive people their sins. Is it true that God GIVES the elect REPENTANCE as per 2 Tim. 2:25? The word ”repent” is used multiple times throughout the Bible, but it’s the above verse that is the most popular one among the reformed believers since it might sound like we don’t have to do anything at all but just sit around and wait for GOD to perhaps inject us with a shot of ”repentance”. If the reformed position is true, it would be God’s fault that not everyone repents because apparently he doesn’t give everyone the possibility to do so. Only those he gives repentance can apparently repent…? This begs the question: Why does the Biblical teach ”repent or perish” if the elect can’t perish, and the non-elect can’t repent? 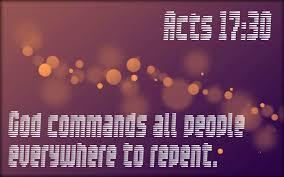 The Bible, however, tells us that God commands ALL MEN EVERY WHERE to repent (Acts 17:30), and not just ”the elect”. If God predestined people to be elect/non-elect from the creation of the world as calvinists teach, he would not place the elect among ”those who are in opposition”, but he would rather place the non-elect in the rebellious group. Yet we are told that it’s those in opposition who will perhaps be granted repentance. The uncertainty (the ”perhaps”) depends on if they have truly fled from iniquity or not. Apparently the others – those who in humility correct those who are in opposition – are already among Jesus’ sheep. This means that the winning team can expand even further if more people stay corrected. The verses prior to this verse explain what one must do to be among those who will have the chance to be granted repentance. Apart from purging oneself from sin, one is requested to: ”Flee also youthful lusts; but pursue righteousness, faith, love, peace with those who call on the Lord out of ”a pure heart”. It’s the pure heart that God looks after, and which is judged when it comes to granting repentance or not. Acts 11:17 Forasmuch then as God gave them the like gift as he did unto us, who believed on the Lord Jesus Christ; what was I, that I could withstand God?18 When they heard these things, they held their peace, and glorified God, saying, Then hath God also to the Gentiles GRANTED repentance unto life. Above we can read that ”gentiles” are granted repentance unto life. We know that not all gentiles will be saved, but if we understand ”granting repentance” to mean what it says – as in granting, offering, extending repentance – then we avoid making this verse collide with many other verses which show us that we are all requested to repent. The verse suggests that all the gentiles will be granted (as in offered) the repentance that is unto life, but naturally only those who truly repent and truly love Jesus Christ will be forgiven. We can compare it with the parable about the wedding banquet for the King’s son, which was offered to everyone. Those who were on the initial guest list chose not to come, but the invitation was extended to others and some of them chose to accept the invitation and arrived at the banquet. Those who chose to go to the banquet with proper wedding clothes were called ”chosen” – they are the special elect. We should not reinterpret the above verse to say ”giving repentance to the gentiles by force regardless of their behavior, and not giving them any opportunity to say no”. The disciples requested to get seats next to Jesus in his kingdom, and asked Jesus to grant them what they wished for. He replied that he had no authority to promise such a thing. Rev. 3:20 Behold, I stand at the door, and knock: if any man hear my voice, and open the door, I will come in to him, and will sup with him, and he with me.21 TO HIM THAT OVERCOMETH will I GRANT to sit with me in my throne, even as I also overcame, and am set down with my Father in his throne. IF any man opens the door when Jesus knocks on the door… This clearly shows that it’s up to us to listen to Jesus and open the door for him. IF we choose to do so, he will come in and eat with us. Here we can see that the condition for sitting with Jesus on his throne is to OVERCOME, just like Jesus overcame by accomplishing his mission on earth and held out to the end. ”And ye shall be hated of all men for my name’s sake: but he that endureth to the end shall be saved”, Matt. 10:22. Acts 4:29 And now, Lord, behold their threatenings: and GRANT unto thy servants, that with all boldness they may speak thy word,30 By stretching forth thine hand to heal; and that signs and wonders may be done by the name of thy holy child Jesus. The above is from a prayer by Peter and other disciples, and it’s not uncommon for christians to ask God in a prayer to grant them various benefits which could aid them in their daily lives or in their pursuit to spread the gospel. Praying in itself is of course useless in a world that God has predestined and orchestrated, but that would not be the God of the Bible. Acts 14:3 Long time therefore abode they speaking boldly in the Lord, which gave testimony unto the word of his grace, and GRANTED signs and wonders to be done by their hands.4 But the multitude of the city was divided: and part held with the Jews, and part with the apostles. God ”granted” them signs and wonders to be done by their hands. This doesn’t mean that he forced/predestined people to place their hands on people to heal and cast demons out of them, but he enabled them to have this power. We can read that part of the city was divided, because not all of them were on the apostles’ side. Clearly that would be against God’s will, because he would want everyone to be on the apostles’ side. If God no longer draws/calls people due to their choice to harden their hearts and turn their backs on him, then they will not be granted repentance. Repentance is commanded by God to ALL men everywhere, and it will be granted to truly repentant hearts (Acts 5:31; 11:18; 17:30-31; 20:21; 26:20; Rom. 2:4; 2 Ti. 2:25; 2 Pe. 3:9). I can grant someone permission to come to my house, and I can also require that certain conditions must be met before a person can actually enter my house. I might suggest that the person must first tell me if he/she is actually coming, and I might also require a certain dress code. 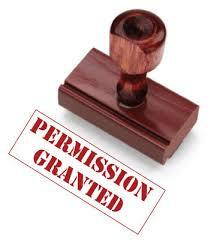 Granting someone the permission to come doesn’t mean that there are no conditions involved. It only means that had it not been for my offer, the person would not have been able to come. 2 Tim. 2:5 And also if anyone competes in athletics, he is not crowned unless he competes according to the rules. The word competing (”strive for masteries” in KJV) suggests that there is something that we must DO, and that we are also requested to work hard to achieve something that we won’t get unless we strive. We are also warned that we won’t get our crown unless we compete according to the RULES. This suggests that there is a condition that must be met before we can get our promised crown, and that is to make sure to work according to the set rules. Paul doesn’t simply inform Timothy (and the rest of us) that we are all predestined to always obey the rules, because if that were the case his serious warnings would be a waste of time. Paul’s admonishments indicate that he hopes to direct Timothy on the straight path, which further means that Paul’s eager warnings might make a difference for Timothy’s life and that all things are not predestined to happen beforehand. We can still change the outcome by prayers and sincere warnings. If people were predestined to be elect from the creation of the world, Paul should know that it’s not really immensely important for him to ”endure all things” for their sake, since absolutely nothing will make them lose their status as chosen elect that will never lose their salvation no matter what. 12 If we endure, We shall also reign with Him. If we deny Him, He also will deny us.13 If we are faithless, He remains faithful; He cannot deny Himself. IF we endure? Yes, we are promised to reign with him IF IF IF we endure, and IF we deny him he will also deny us. It doesn’t say that he will deny us and therefore we have no other choice but to deny him since we are predestined to be among the non-elect who by nature always deny him. God is true to his words (including promises of judgments) because he cannot deny himself. Apparently hearers are not chosen to be elect/non-elect from the creation of the world, since our unwise talk can affect people to the extent that they can be totally ruined. If we are not able to be approved of God, we are doomed. That’s why we should be diligent to present ourselves approved before God. WE are the ones that must do this. Jesus won’t do the job for us. We are not told here that we WILL be approved by God no matter what, but we are told ”BE DILIGENT…”. 16 But shun profane and idle babblings, for they will increase to more ungodliness. 17 And their message will spread like cancer. Hymenaeus and Philetus are of this sort, 18 who have strayed concerning the truth, saying that the resurrection is already past; and they overthrow the faith of some. Hymenaeus and Philetus were two men who were overthrowing the faith of certain people due to the way they preached. This is evidence of that God in no way decided whom to save and whom to damn from the creation of the world, because then no one would be able to overthrow anyone’s faith in God. For the same reason, this verse is also evidence of that unconditional eternal salvation is not true. We know that a seal can be broken (like the stone that was ”sealed” before Jesus’ grave), and the ”seal” spoken about here is the assurance that God knows those who are his (and his sheep are those who decide to follow Jesus), and that those who mention Christ’s name should depart from iniquity. Being engaged in iniquity is always against God’s will. 20 But in a great house there are not only vessels of gold and silver, but also of wood and clay, some for honor and some for dishonor. 21 Therefore IF ANYONE CLEANSES HIMSELF from the latter, he will be a vessel for HONOR, sanctified and useful for the Master, prepared for every good work. 22 Flee also youthful lusts; but pursue righteousness, faith, love, peace with those who call on the Lord out of a pure heart. Above we can see that we are asked to cleanse ourselves (from iniquity), and if we do we will be vessels of honor. This is an opportunity for all of us. Naturally we don’t have the authority to forgive ourselves our sins, but the request to cleanse ourselves means that we must confess our sins, repent from an earnest heart and thus be cleansed/regenerated by God. We are the ones who get the ball rolling. IF we ”cleanse ourselves” we will be sanctified, useful and prepared for every good work. We are requested to pursue righteousness, which means that we are not simply promised that we will be injected with some of Jesus’ righteousness, but we are actually asked to flee ”youthful lusts” and live righteous lives ourselves. WE are requested to have a pure heart, because we can’t hide behind Jesus. We have already covered v. 25. Young’s Literal says in v. 26 ”having been caught by him at his will”. This means that Satan’s will is a force to count on, and Paul also says elsewhere that we are slaves to the one we obey. If we obey sin, we actually obey Satan because he is the one who wants us to feel comfortable in our sins. This again shows that God’s will doesn’t always happen, unless we believe that Satan and God work together to ensnare people in sin. Fortunately, we are told that we can escape the snare of the devil, and we have the chance to be granted repentance – if we let ourselves be corrected, if we truly ”cleanse ourselves” and if we call on God from a ”pure heart”, as per the verses just before. 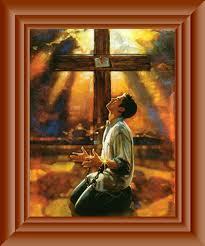 2 Cor 7:9 Now I rejoice, not that you were made sorry, but that your sorrow led to repentance. For you were made sorry in a godly manner, that you might suffer loss from us in nothing. 10 For godly sorrow produces repentance LEADING TO salvation, not to be regretted; but the sorrow of the world produces DEATH. 11 For observe this very thing, that you sorrowed in a godly manner: What diligence it produced in you, what clearing of yourselves, what indignation, what fear, what vehement desire, what zeal, what vindication! In all things you proved yourselves to be clear in this matter. Mat 18:32-35 Then the master called the servant in. You wicked servant, he said, I canceled all that debt of yours because you begged me to. Shouldn’t you have had mercy on your fellow servant just as I had on you? In anger his master turned him over to the jailers to be tortured, until he should pay back all he owed. —This is how my heavenly Father will treat each of you unless you forgive your brother from your heart. Also christians might choose to disown Jesus before men, and if they refuse to repent they will be disowned by their Father in heaven. If a person naturally disowns Jesus, it might be an indication of that this person has not repented since he isn’t able to endure hardship. We are not able to be Jesus disciples unless we take up our cross and carry it, and disowning Jesus means that we don’t carry our cross. Jesus started out to preach the necessity to 1) repent, and 2) believe the gospel. He also told his disciples to preach the same thing. Why? So people would heed the warnings and not PERISH! Acts 20:19 Serving the Lord with all humility of mind, and with many tears, and temptations, which befell me by the lying in wait of the Jews:—21 Testifying both to the Jews, and also to the Greeks, REPENTANCE TOWARD GOD, and faith toward our Lord Jesus Christ. Acts 26:15 — I am Jesus whom thou persecutest.16 But rise, and stand upon thy feet: for I have appeared unto thee for this purpose, to make thee a minister and a witness both of these things which thou hast seen, and of those things in the which I will appear unto thee;17 Delivering thee from the people, and from the Gentiles, unto whom now I send thee,18 To open their eyes, and to turn them from darkness to light, and from the power of Satan unto God, that they may receive forgiveness of sins, and inheritance among them which are sanctified by faith that is in me.19 Whereupon, O king Agrippa, I was not disobedient unto the heavenly vision:20 But shewed first unto them of Damascus, and at Jerusalem, and throughout all the coasts of Judaea, and then to the Gentiles, THAT THEY SHOULD REPENT AND TURN TO GOD, AND DO WORKS MEET FOR REPENTANCE. Luke 15:7 I say unto you that ”likewise joy shall be in heaven over one sinner that repenteth more than over ninety and nine just persons which need no repentance”—10 Likewise I say unto you there is joy in the presence of the angels of God over one sinner that repenteth—32 It was meet that we should make merry, and be glad: for this thy brother was dead, and is alive again; and was lost, and is found. Rev 3:19 As many as __ I love I rebuke and chasten BE ZEALOUS THEREFORE AND REPENT. Rev. 16:9 And men were scorched with great heat, and blasphemed the name of God, which hath power over these plagues: and they repented not to give him glory. 10And the fifth angel poured out his vial upon the seat of the beast; and his kingdom was full of darkness; and they gnawed their tongues for pain, 11And blasphemed the God of heaven because of their pains and their sores, and repented not of their DEEDS. 1 Clement 7:5 Let us review all the generations in turn, and learn how from generation to generation the Master hath given a place for repentance unto them that desire to turn to Him. Justin Martyr, The first apology, Chapter 28 For He fore-knows that some are to be saved by repentance, some even that are perhaps not yet born. In the beginning He made the human race with the power of thought and of choosing the truth and doing right, so that all men are without excuse before God; for they have been born rational and contemplative. In the Old Testament we can read about God’s instructions for how the israelites were supposed to cleanse themselves. God didn’t use a magic wand to cleanse them but THEY had to make sure to arrange things in such a way that they could be declared rightfully purified and cleansed by God. Whoever wanted to be cleansed had to wash both himself and his clothes, and not until then could he come into the camp. This actually works as a good picture of the requirements for entering the kingdom of God, because filthy sinners are not able to enter his kingdom but only those who are cleansed from their sins and considered righteous. Numbers 31:24 And ye shall wash your clothes on the seventh day, and ye shall be clean, and afterward ye shall come into the camp. Numbers 8:21 21 And the Levites were purified, and they washed their clothes; and Aaron offered them as an offering before the Lord; and Aaron made an atonement for them to cleanse them. In the book of Zacharia, we can read about Zacharia seeing Joshua, the high priest, standing before the angel of the Lord in filthy garments. The filthy garments symbolise bad deeds, and these bad deeds/iniquities were removed from Joshua and he was clothed with new garments. Joshua was also told about the conditions involved for being able to judge the house of the Lord and to be able to keep his courts. So a certain task was offered to Joshua, but then he must make sure to walk in God’s ways and keep his commandments. This is something that WE must accomplish and something that God doesn’t do for us. Zacharia 3:1 And he shewed me Joshua the high priest standing before the angel of the Lord, and Satan standing at his right hand to resist him.2 And the Lord said unto Satan, The Lord rebuke thee, O Satan; even the Lord that hath chosen Jerusalem rebuke thee: is not this a brand plucked out of the fire?3 Now Joshua was clothed with filthy garments, and stood before the angel.4 And he answered and spake unto those that stood before him, saying, Take away the filthy garments from him. And unto him he said, Behold, I have caused thine iniquity to pass from thee, and I will clothe thee with change of raiment.5 And I said, Let them set a fair mitre upon his head. So they set a fair mitre upon his head, and clothed him with garments. And the angel of the Lord stood by.6 And the angel of the Lord protested unto Joshua, saying,7 Thus saith the Lord of hosts; If thou wilt walk in my ways, and if thou wilt keep my charge, then thou shalt also judge my house, and shalt also keep my courts, and I will give thee places to walk among these that stand by. Rev. 1:12 And I turned to see the voice that spake with me. And being turned, I saw seven golden candlesticks;13 And in the midst of the seven candlesticks one like unto the Son of man, clothed with a garment down to the foot, and girt about the paps with a golden girdle.14 His head and his hairs were white like wool, as white as snow; and his eyes were as a flame of fire;15 And his feet like unto fine brass, as if they burned in a furnace; and his voice as the sound of many waters.16 And he had in his right hand seven stars: and out of his mouth went a sharp twoedged sword: and his countenance was as the sun shineth in his strength. Matt 17:1 And after six days Jesus taketh Peter, James, and John his brother, and bringeth them up into an high mountain apart,2 And was transfigured before them: and his face did shine as the sun, and his raiment was white as the light. Apg. 10:30 And Cornelius said, Four days ago I was fasting until this hour; and at the ninth hour I prayed in my house, and, behold, a man stood before me in bright clothing,31 And said, Cornelius, thy prayer is heard, and thine alms are had in remembrance in the sight of God.32 Send therefore to Joppa, and call hither Simon, whose surname is Peter; he is lodged in the house of one Simon a tanner by the sea side: who, when he cometh, shall speak unto thee. Johannes 20:12 And seeth two angels in white sitting, the one at the head, and the other at the feet, where the body of Jesus had lain. Apg 1:9 And when he had spoken these things, while they beheld, he was taken up; and a cloud received him out of their sight.10 And while they looked stedfastly toward heaven as he went up, behold, two men stood by them in white apparel;11 Which also said, Ye men of Galilee, why stand ye gazing up into heaven? this same Jesus, which is taken up from you into heaven, shall so come in like manner as ye have seen him go into heaven. John received a revelation from God and was told that God actually sees the works of man even if it concerns believers (and the sins are not hidden behind the blood of Jesus), and also that the church in Sardis should be watchful to strengthen the things which are about to die. Why are they about to die? Because their works are not perfect before God. They are told to repent in order to avoid the risk of dying. We are also told that there are some individuals in the church of Sardis who had not defiled their clothes, and that whosoever overcomes (that is the one who endures to the end) will be dressed in white garments and his name will not be blotted out of the book of life, but will be acknowledged by the Father and the angels. Rev. 3:1 And unto the angel of the church in Sardis write; These things saith he that hath the seven Spirits of God, and the seven stars; I know thy works, that thou hast a name that thou livest, and art dead.2 Be watchful, and strengthen the things which remain, that are ready to die: for I have not found thy works perfect before God.3 Remember therefore how thou hast received and heard, and hold fast, and repent. If therefore thou shalt not watch, I will come on thee as a thief, and thou shalt not know what hour I will come upon thee.4 Thou hast a few names even in Sardis which have not defiled their garments; and they shall walk with me in white: for they are worthy.5 He that overcometh, the same shall be clothed in white raiment; and I will not blot out his name out of the book of life, but I will confess his name before my Father, and before his angels. In the same chapter we can read that God is also aware of the works in the church of the Laodiceans, and the same thing applies there that the deeds play a big role for their salvation. The church members might very well have believed in God and the offer that Jesus made for them, but this doesn’t save them if they are lukewarm och don’t show the works that God expects to find in them. The church gets the advice to buy gold from God which is tried in fire, and in that way get enough money to buy white clothes. This is something that God will not force us to do, nor will he do it for us. Had it been up to God of course he would dress up every single human being in white clothes (he doesn’t want anyone to perish), but naturally he won’t clothe unrepentant sinners with white garments because of the conditions he has for salvation. Rev. 3:14 And unto the angel of the church of the Laodiceans write; These things saith the Amen, the faithful and true witness, the beginning of the creation of God;15 I know thy works, that thou art neither cold nor hot: I would thou wert cold or hot.16 So then because thou art lukewarm, and neither cold nor hot, I will spue thee out of my mouth.17 Because thou sayest, I am rich, and increased with goods, and have need of nothing; and knowest not that thou art wretched, and miserable, and poor, and blind, and naked:18 I counsel thee to buy of me gold tried in the fire, that thou mayest be rich; and white raiment, that thou mayest be clothed, and that the shame of thy nakedness do not appear; and anoint thine eyes with eyesalve, that thou mayest see.19 As many as I love, I rebuke and chasten: be zealous therefore, and repent.20 Behold, I stand at the door, and knock: if any man hear my voice, and open the door, I will come in to him, and will sup with him, and he with me.21 To him that overcometh will I grant to sit with me in my throne, even as I also overcame, and am set down with my Father in his throne. In the same book we can read about twenty-four elders in white raiment and with golden crowns on their heads, and also about a great multitude with white robes standing before the throne and the lamb. We are told what kind of crowd this is and why they are wearing white clothes. These people are the ones who have come out of the great tribulation under the rule of Antichrist, and who have washed their clothes and made them white in the blood of the lamb. We wouldn’t be able to get cleansed apart from 1) the blood of the Lamb and 2) our repentance, faith and obedience. Rev.4:4 And round about the throne were four and twenty seats: and upon the seats I saw four and twenty elders sitting, clothed in white raiment; and they had on their heads crowns of gold. Rev. 7:9 After this I beheld, and, lo, a great multitude, which no man could number, of all nations, and kindreds, and people, and tongues, stood before the throne, and before the Lamb, clothed with white robes, and palms in their hands;10 And cried with a loud voice, saying, Salvation to our God which sitteth upon the throne, and unto the Lamb.11 And all the angels stood round about the throne, and about the elders and the four beasts, and fell before the throne on their faces, and worshipped God,12 Saying, Amen: Blessing, and glory, and wisdom, and thanksgiving, and honour, and power, and might, be unto our God for ever and ever. Amen.13 And one of the elders answered, saying unto me, What are these which are arrayed in white robes? and whence came they?14 And I said unto him, Sir, thou knowest. And he said to me, These are they which came out of great tribulation, and have washed their robes, and made them white in the blood of the Lamb.15 Therefore are they before the throne of God, and serve him day and night in his temple: and he that sitteth on the throne shall dwell among them.16 They shall hunger no more, neither thirst any more; neither shall the sun light on them, nor any heat.17 For the Lamb which is in the midst of the throne shall feed them, and shall lead them unto living fountains of waters: and God shall wipe away all tears from their eyes. Rev. 6:9 And when he had opened the fifth seal, I saw under the altar the souls of them that were slain for the word of God, and for the testimony which they held:10 And they cried with a loud voice, saying, How long, O Lord, holy and true, dost thou not judge and avenge our blood on them that dwell on the earth?11 And white robes were given unto every one of them; and it was said unto them, that they should rest yet for a little season, until their fellowservants also and their brethren, that should be killed as they were, should be fulfilled. Rev. 19:7 Let us be glad and rejoice, and give honour to him: for the marriage of the Lamb is come, and his wife hath made herself ready.8 And to her was granted that she should be arrayed in fine linen, clean and white: for the fine linen is the righteousness of saints. We also have the well known parable in Matthew 22, about the king who prepared a wedding banquet for his son. Some people who were on the guest list and presumed to come still declined the invitation when they were requested to go. Instead others were invited. One particular person accepted the invitation and also went to the wedding banquet BUT neglected to wear wedding clothes so was kicked out. It was the guests’ own responsibility to make sure they were dressed in proper wedding clothes. So thanks to this parable we can see that 1) people were able to refuse to accept the invitation despite that they were expected to go, and 2) people were able to make the choice to accept the invitation, and they also went, BUT were still kicked out of the banquet because they were not properly dressed which was their own fault and a huge mistake, and 3) people who accepted the invitation, and who went to the banquet, AND who were properly dressed, were the ones who eventually could take part of all the blessings of the party that ALL were invited to. Matt. 22:9 Go ye therefore into the highways, and as many as ye shall find, bid to the marriage.10 So those servants went out into the highways, and gathered together all as many as they found, both bad and good: and the wedding was furnished with guests.11 And when the king came in to see the guests, he saw there a man which had not on a wedding garment:12 And he saith unto him, Friend, how camest thou in hither not having a wedding garment? And he was speechless.13 Then said the king to the servants, Bind him hand and foot, and take him away, and cast him into outer darkness, there shall be weeping and gnashing of teeth. ”Repent” is a translation from the Greek word metanoeó (Strong’s 3340) and means to repent, to change one’s mind or to change the inner man. From metá and noiéo. Repenting doesn’t mean just saying ”I’m sorry” or ”I’m sorry that I got caught”, or something that we do on a daily basis. 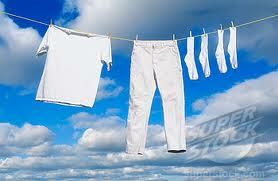 Repenting means to raise a white flag and making a decision to make the utmost to not repeat the sins again. It doesn’t mean we need to sign a legal document where we take an oath to never sin ever again as long as we live, but the aim should be to avoid sinning. If we sin, repent, sin, repent, sin, repent, it shows that we have not truly repented in the first place. 1 Clement 7:4 Let us fix our eyes on the blood of Christ and understand how precious it is unto His Father, because being shed for our salvation it won for the whole world the grace of repentance. If God no longer draws/calls people due to their choice to harden their hearts and turn their backs on him, then they will not be granted repentance. 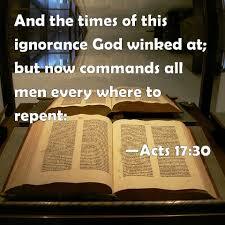 Repentance is granted and commanded by God to ALL men everywhere. Telling God that we feel bad about what we have done is not good enough if we make no plans to stop. Also many atheists might feel extremely bad about sins they have committed. Repentance is to cast out all filth IN ORDER to make our temples clean for the reception of the Holy Spirit (Matt. 12:43-45; Lk. 11:24-26; Acts 5:32). Repentance is a change of mind, inclinations and desires, which translates into a total change in conduct. It’s initiated by God through a crisis of conviction leading to a godly sorrow for sin and it means to forsake our wickedness, purge our hearts of evil and to seek the mercy of God. The passions and desires of the flesh are crucified (Ro. 6:6; Gal. 5:24) and this happens in repentance and not successively afterwards. Old things pass away and all things become new. If a husband is cheating on his wife, the wife would expect the husband to stop sleeping with another woman. What would she think if he said, ”I really love you, honey, and I am *willing* to stop sleeping with the other woman, but it may take some time.” We would not accept such excuse from our partner. Why do people expect that of God? 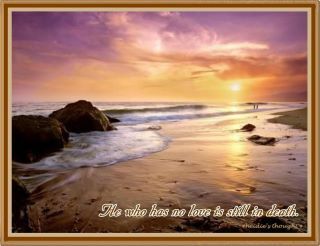 Hebrews 12:6 For whom the Lord loveth he chasteneth, and scourgeth every son whom he receiveth. 7 IF ye endure chastening, God dealeth with you as with sons; for what son is he whom the father chasteneth not?—10 For they verily for a few days chastened us after their own pleasure; but he for our profit, that we might be partakers of his holiness. 11 Now no chastening for the present seemeth to be joyous, but grievous: nevertheless afterward it yieldeth the peaceable fruit of righteousness unto them which are exercised thereby. Psalm 6:1O LORD, rebuke me not in thine anger, neither chasten me in thy hot displeasure. Psalm 38:1O Lord, rebuke me not in thy wrath: neither chasten me in thy hot displeasure. Psalm 73:14 For all the day long have I been plagued, and chastened every morning. Psalm 118:18 The LORD hath chastened me sore: but he hath not given me over unto death.